Sometimes the change we need is not the one we seek. We can be living our lives with a comfortable sense of control and predictability, until suddenly the things that afford us such assurance are shaken or taken from us. Even as we attempt to return to our old ways and regain what was once normal, we can end up facing more setbacks that push us beyond the point of what seems fair or bearable. When this happens, the purpose may not be to resurrect what was, but to release everything about it that wasn’t serving us and step into uncharted territory for total transformation. This benevolently merciless force of the universe is known in the Hindu tradition as the Goddess Kali. When she appears in your life, get ready to enter the dark and vast unknown, where you can either break down as your world falls apart, or rise up, break through and build anew—she leaves that up to you. While I prefer the gentle life changes supported by the obstacle-clearing deity Ganesh, Kali has taken my husband Eric and I on quite the tumultuous ride over the last two years. We have been stripped of everything that made us feel safe and secure, and every time we seemed to find our ground, our newly formed foundation crumbled again. In the midst of it all, we have supported loved ones through mental illness, miscarriage, major surgery, death and other major life events. Many people I know are also experiencing such intense, challenging shifts and growth that is not coming easily. While this can be perceived as the wrath of Kali (or the unfairness of life) when we don’t understand the love and wisdom behind her ways, ultimately, this Goddess’ true aim is completely compassionate: she comes to free us of our false beliefs, fears, insecurities and attachments. She comes to restore us with truth, faith, clarity and courage so that we may fulfill the highest potential our lives hold for us and the world. When dealing with huge setbacks, our culture teaches us to keep charging forward and working harder. 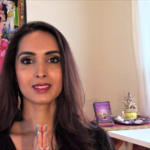 While this may create results, Kali invites us to learn the art of letting go and allowing ourselves to be carried by the Divine and trust in where it wants to take us. When we resist, she persists. And she does so with our best interest at heart. It took me four consecutive grueling corporate jobs to realize that I was not meant to “get thicker skin and be a b*tch” as my bosses wanted, but instead honor my sensitivity and commit to my path as a spiritual healer, coach and yoga teacher full time and for good. It took my husband losing his steady (but very unfulfilling) corporate contract and our apartment having sudden and constant flooding, roaches and construction noise for us to be practically forced into our dream of moving to Thailand before we felt prepared, because it became the most feasible option. Closing my newly thriving Toronto practice and being unable to set up shop in Thailand led me to use Skype to continue my work. This ended up expanding my horizons and my practice in a way I never could have conceived of by giving me the freedom and flexibility to serve clients all over the world. If things had not unfolded in this way, Eric and I would very likely still be working in jobs that didn’t honor us, in a city that no longer resonated with us while fantasizing about the day we could live a life of deep passion, purpose and prosperity—the life we live now. Even when things seem their worst, if we stop fighting against them and flow with them in faith, Kali can help us transcend our circumstances and arrive at a new, unimaginable destination, humbled yet victorious. Affirmation: I let go and let God carry me to a higher path, above and beyond anything I can dream. When there is so much going on, lamenting the past, resenting the present or fearing the future will only keep us trapped and overwhelmed. As the goddess of cycles and time (or more accurately, timelessness), Kali invites us to live in the eternal now, the vast void through which all form comes forth. The most helpful thing we can do in the midst of her reign is take a conscious breath and delve into Kali’s infinite heart by staying centered in the moment we are in. From this sacred space, she will bring us a quiet but resilient sense of peace that will guide our next steps and help us create anew that which will best serve and support us. Affirmation: I am here, I am safe, I am guided and I am loved. 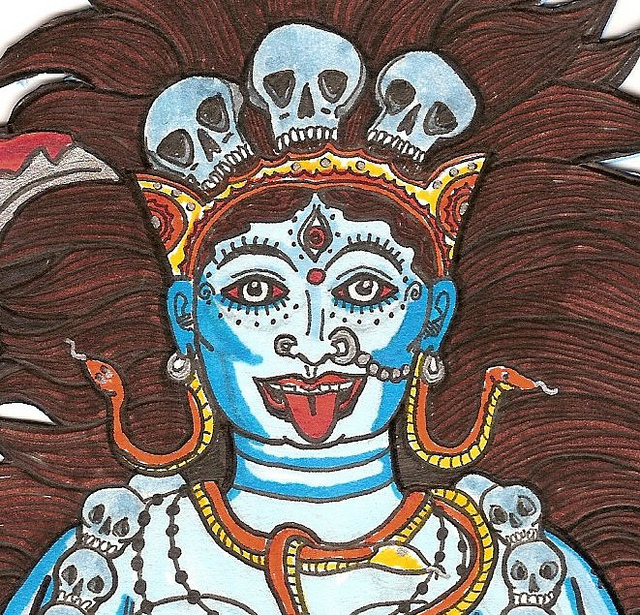 The reason Kali can appear to be merciless is because she has no patience for complacency. If you hate your job but don’t commit to your calling because you fear failure, she will get you fired. If you want to end a toxic relationship but are afraid of being alone, she will get you dumped. She knows your truth and your potential, and if she chooses to bless you with her help, she will do whatever it takes to get you on the right track. No matter how difficult your circumstances seem, take this as the rare opportunity for some long-overdue self-examination. Was that part of your life really serving you? Did it honor your deepest truth? Did it truly fulfill your soul’s desires? Who are you without the things you identify with? What does your heart’s wisdom know? Through such self-inquiry, I myself have come to finally live a truth that I previously only understood intellectually: that the source of my serenity and security is within. There were many times—through job losses, financial uncertainty, moving abroad, foreign visa issues and living under a military coup—where my primal sense of safety was jarred and threatened. I kept waiting and wanting for things to change so that I could feel stable. Instead, by surrendering, staying present, examining my beliefs and digging for a deeper truth, I learned to feel stable through the constant change. In this way, Kali cuts through all lies and helps us overcome the traps of our egos to show us who we are and who we are not, what is real and what is not. 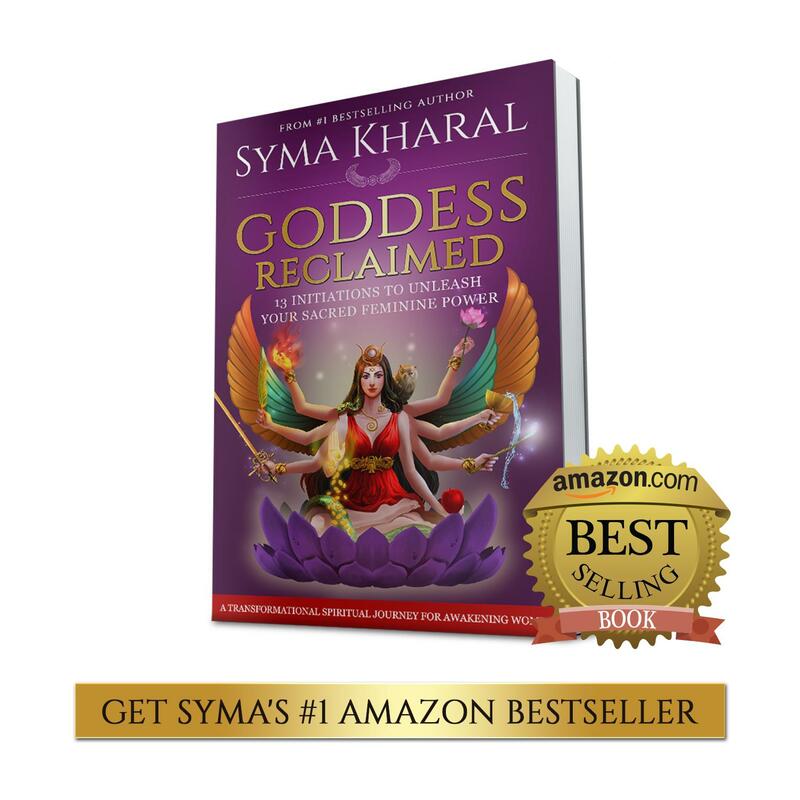 After all, Kali herself emerged from the warrior goddess Durga’s forehead as the last hope to defeat an indestructible demon—which she accomplished. When we feel we have mustered all our inner strength and resources, Kali is that final, fierce focus that that erupts from our highest selves to triumph over our greatest demons and challenges. Affirmation: The deeper I delve into my truth, the freer, stronger and wiser I become. No matter what is happening around us, there are always things to be grateful for, and cultivating a state of gratitude can be the savior that illuminates our darkest times. A midst all the chaos Eric and I faced, we made a very conscious effort to notice all the good we were blessed with in each moment, whether it was a delicious piece of fruit, a beautiful day, a fluttering butterfly, the song of the birds, an afternoon walk, the support of family and friends, our deepening love and continuous spiritual growth. Beyond appreciating all these gifts, feeling grateful on a consistent basis filled us with greater faith, optimism and assurance that all is and always will be well. When we intend to remain grateful in all circumstances, we can’t help but find blessings in every moment. And focusing on what is working and what is wonderful will not only keep us joyous and strong, but open us to greater support and miraculous solutions along the way. Affirmation: I find blessings in each moment and my gratitude creates miracles. Just because her approach is harsh, doesn’t mean Kali’s heart is. On the contrary, she is called Kali Ma because she is above all a fiercely loving mother goddess. As such, she wants her children to find compassion in the hardest of times so that we can move beyond victimhood and into love and service. We get there by practicing kindness towards ourselves and others, in our thoughts and our deeds. We can keep our sanity in crazy times by taking excellent care of ourselves with gentle and empowering thoughts and patience throughout the process. We can practice kindness and self-care through prayer, meditation, yoga, exercise, rest, eating well, playing, laughing, being in nature, reaching out and getting hugs and support. 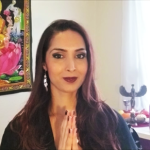 And, while kindness towards ourselves will help us stay centered, kindness towards others will help us transcend our own woes and dwell in the elevated states of sharing, connecting and uplifting. Just as we had settled into our new life in Thailand, Eric and I flew back home abruptly to support his terminally ill grandfather, who died the night we returned. I know in my heart he held on to see us, and any sacrifice we made was a small price for this gift. In the midst our own transitions, kindness towards others has a miraculous way of moving us beyond our small selves and into the Higher Self—which is Kali’s ultimate intention anyway. Affirmation: May all beings in all realms be happy and at peace (translation of the Sanskrit mantra, “Lokah Samasta Suhkino Bhavantu”). They say that everything happens for the best, but with Kali, it certainly doesn’t feel that way. Like the tower card in the Tarot, where all the ideals upon which your current “prison” is built suddenly collapse, Kali smashes what isn’t serving you—and it’s hardest when she does it all at once. When we’re not consciously ready for such a rude awakening, it is a shocking and painful transition indeed. 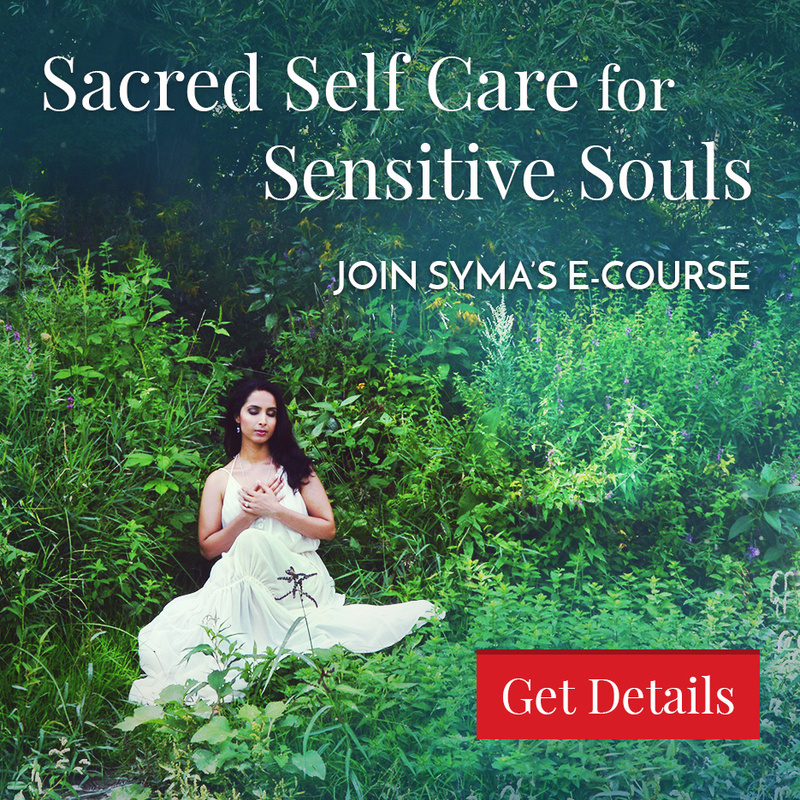 But if we show up fully and step up squarely to meet and pass her tests, she will help us break free of the illusions, attachments and limitations that keep us living a ho-hum existence and initiate us into an authentic, elevated and empowered life. She will push us over the cliff when we are afraid of falling, because she knows we were meant to fly. And even if we should fall, she will help us start again where we are, for each ending is merely an invitation for a blessed new beginning. Such is her way. Such is her love. Such is Kali.